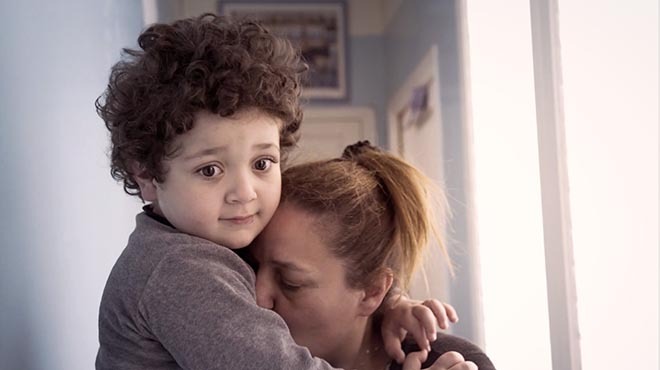 French agency Herezie has produced a pro-bono documentary, “With You We Can Heal It”, in partnership with Vaincre L’Autisme, following the day-to-day life of Enzo, a young boy with autism. Launched to coincide with World Autism Awareness Day (April 2, 2017), the film is designed to support global awareness raising and fundraising. 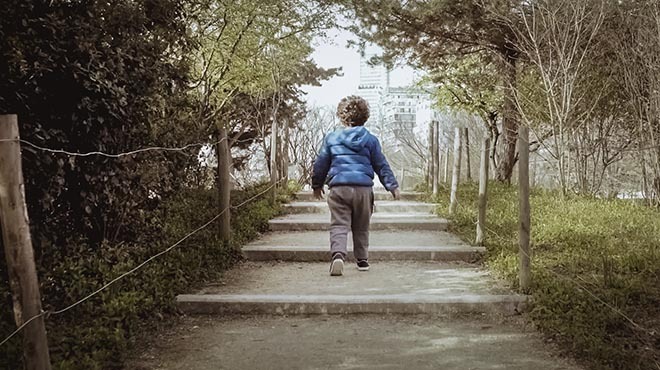 For autistic Enzo, climbing stairs is like climbing Mt Everest. Expressing himself, nearly impossible, without being able to say simple words. One cannot imagine how this little boy or his parents do it. But, they do. Q. What’s the story in 2 sentences? It’s the story of an autistic and non-verbal 5 years old boy who practices for 30 days to become the spokesman of an association. Q. In your own words, what is the emotional reason people should care? In France, there are 650 000 people with ASD (Autistic Spectrum Disorder) and a real lack of infrastructure to take care of them. It could be their brother, their child, their life. Q. Why this idea? To be able to speak, to be able to write.. All these simple things that get us through life, we take them for granted. We wanted to show the amount of effort, help and time an autistic person needs to achieve these simple things, and the fact that only money can assure these kids to be appropriately accompanied. Q How does the idea position the marque? The idea shows how the association can accompany and take care of all the people with ASD. It also shows that it’s a « human size » association that needs money. Q. Tell me about the tonality you chose and why? For too many people, « autism » is hard to define. We wanted to explain and show them what it’s like. Instead of showing tears and failure, we wanted to show determination, dedication and love. When you get to know the families who have to deal with ASD, you immediately get blown away by those precise qualities. Q. Where did you shoot and why? We shot at the Futuroschool, where Enzo goes every day. It had to be 100% real. No acting, nothing. Q. What was the most challenging part of pulling off this idea and how did you overcome it? The most challenging thing was to not disturb Enzo’s routine in the process of bringing this campaign to life. Besides, we didn’t know the outcome of all this. We had to adapt our message to Enzo’s capacities; and, yet, we weren’t sure he was going to succeed. With the help of his parents and all the people at the Futuroschool, we managed to spend enough time with him. Q. Who was the director and why? With a very low budget, we had to find clever solutions to follow Enzo through this journey. We decided to partner with Auguste Bas and Robin Deriaud, two freshly graduated and talented students of Luc Besson’s school École de la Cité. This way, they could be with Enzo 8 hours a day for an entire month. The Autism Day in the Life campaign was developed at Herezie Group by executive creative director Baptiste Clinet, head of creative content Paul Marty, art directors/copywriters Jacques Denain, Nicolas Duménil, strategic planner Camille Lallier, PR directors Kim Ball and Morgane Le Rol, agency producer Barbara Vaira, COO Pierre Callegari, CEO Andrea Stillacci, associate general managers Edouard De Pouzilhac, Thomas Couteau, and associate managing director Arno Pons. Digital work was done at 5eme Gauche. Filming was shot by directors Auguste Bas and Robin Deriaud via FullDawa Production, Paris, with producers Boris Mendza, Gael Cabouat, Alexandre Bonaldi, production coordinator Maud ramos Guerrero. Editor was Mehdi Lachhab. Grading was done at Bend the Colour Studio by colourist Raphael Kourisky. Original music was by Eraldo Bernocchi and Lorenzo Esposito Fornasari, at TransmutationLtd.